Free, Interactive Online Training to Make Your Job Easier and More Efficient. 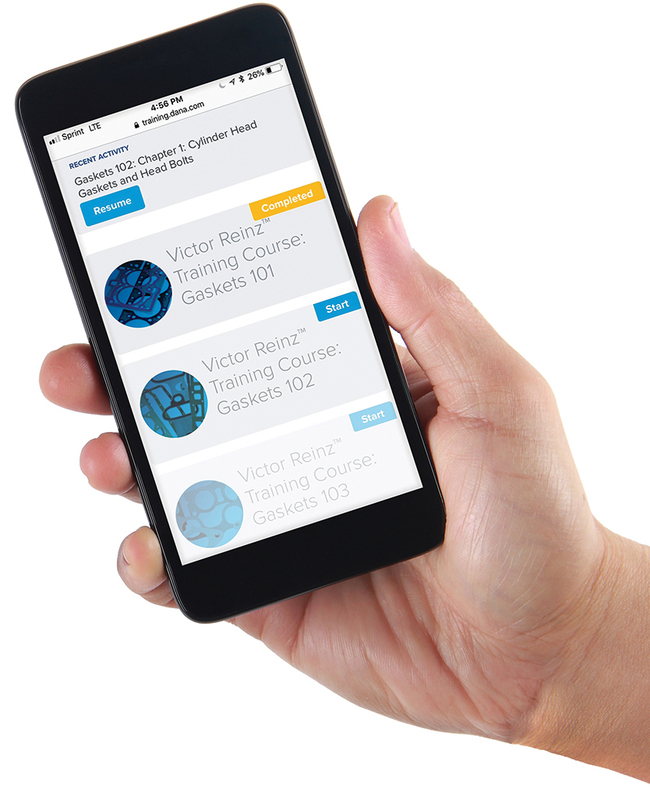 The Dana Aftermarket Training Academy™ learning management system (LMS), beginning with Victor Reinz gaskets, is your personal learning center. Using slideshows and videos, this software application allows you to learn at your own pace and on your own schedule. The Victor Reinz Training Courses are divided into short but informative chapters, so learning is convenient and practical. As you work through the chapters, you will gain an understanding of gasket fundamentals such as how they function, their design composition, and even some disassembly and installation basics. Each chapter is followed by a brief quiz to aid in content retention and enhance your learning experience. When you’re done, you can download and print a personalized certificate of completion to document your success! 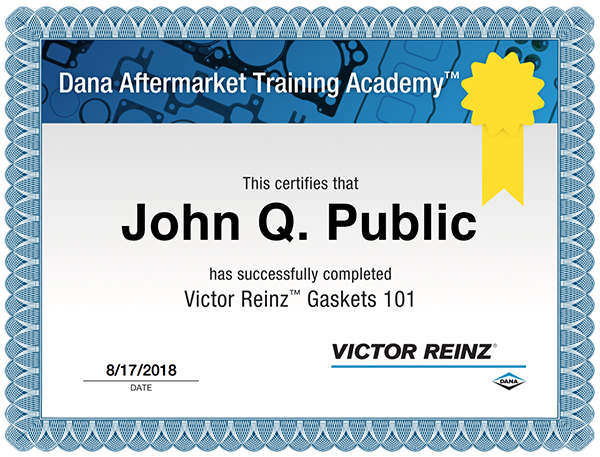 The Victor Reinz Training Courses will help you become a gasket expert – online, simply, and at your convenience.